A Drexel University online student recently won the silver medal from the International Jugglers’ Association’s stage championship, held at the annual festival mid-July in Winston-Salem, N.C.
Thom Wall, who is working toward his master’s degree in nonprofit arts administration, originally performed a preliminary routine that showcased his best tricks in front of a panel of judges to earn a score high enough to qualify for a spot in the final stage event. The seven-minute-long act revealed his talent for juggling and performing as he combined impressive juggling skills with physical humor and minor dance elements. His level of competition, which was the 18-and-older category for individual performers, had “no limit to the choice of props and the style of manipulation; however, the majority of the act [had to] involve the manipulation of props,” according to the competition rules. Of the eight competitors, who came from the United States, Japan and the Netherlands, Wall finished in second place. The gold medal went to Satoshi Etoh of Japan. 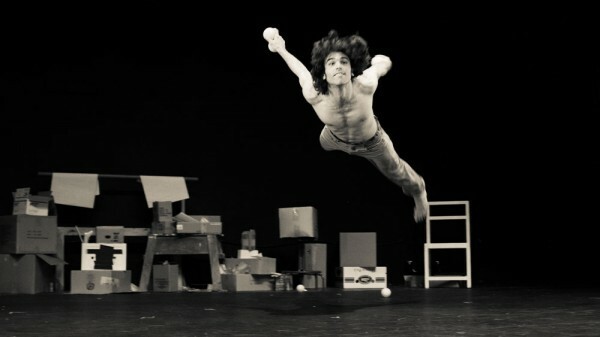 When Wall was accepted to train at the New England Center for Circus Arts, he decided to apply to Drexel’s online program. He began working on his degree in the fall of 2011. “Both the program and the school have such great reputations, [and] the flexibility of online learning was a major factor in my decision to apply,” Wall wrote in an email. Wall started juggling in sixth grade when a foreign exchange student taught him the basics. He found a true passion for his hobby when he moved to St. Louis for his sophomore year of high school. There he found a juggling club that met near his home and helped him learn and improve. Since then his style has changed as he has learned more about the art of juggling and trained with people in different fields. “When I was in undergrad I started experimenting with different styles — paying closer attention to expressive body movement and the emotional potential of juggling as a form of physical theatre. At NECCA I trained closely with a former member of the Martha Graham Dance Co. as well as with a former clown who had worked with both Ringling Bros. and Cirque du Soleil. There I further cultivated an organic and expressive juggling style,” Wall wrote. After finishing training at NECCA, he started working at Busch Gardens. When his contract with the amusement park expires, he plans to spend some time back home in St. Louis before starting his next gig. Wall previously won the four-ball eXtreme juggling competition at the IJA festival in 2010 and can juggle eight balls or seven clubs at once. Recently he’s been working on tricks that involve trapping balls between different parts of the body and is interested in pursuing this unexplored juggling territory.